When I posted the Twenty-minute Honey-glazed Duck Breasts this morning, I wasn’t planning on writing this week’s French Fridays post until next week. In fact, I hadn’t even made the soup yet, so posting it today seemed out of the question. But with the girls at school, J resting on the couch, Bailey napping wherever he could find a comfortable spot, and me off work for the day, it just seemed like a great time for some cooking. Add to that the fact that we got our first snow overnight, and soup was the perfect choice for the afternoon. 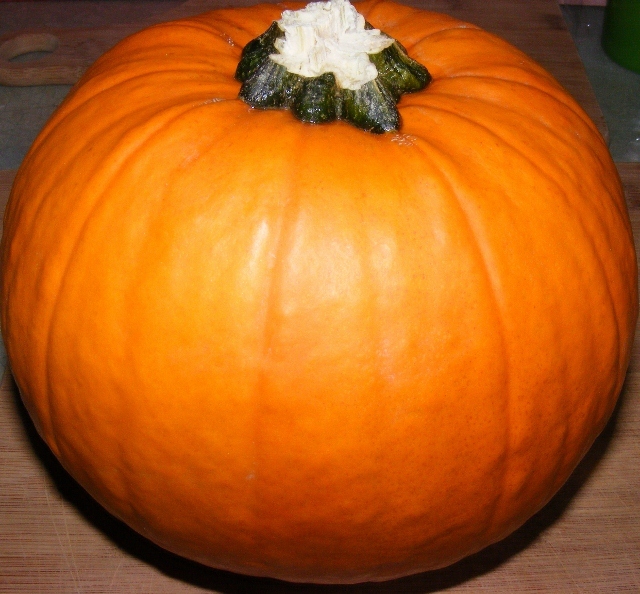 I started out by roasting a pumpkin. It was only a 3-pounder, so I was surprised by how much meat I got from it. Next, I did my mise en place. 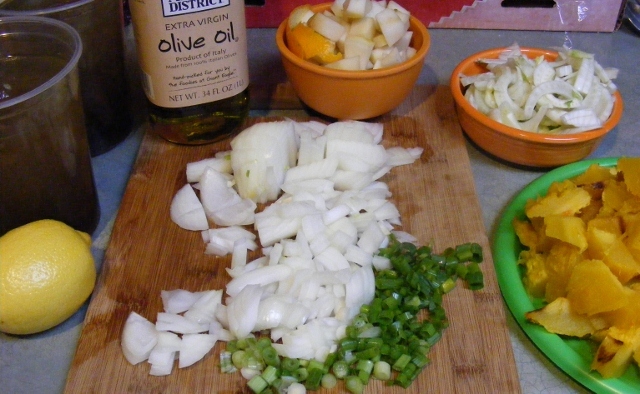 I’m a big proponent of using mise en place for cooking and baking, and I always employ it for soups, which tend to require a lot of measuring, peeling, and chopping but come together quickly once you start cooking. With all your ingredients in front of you, most of the work is behind you. 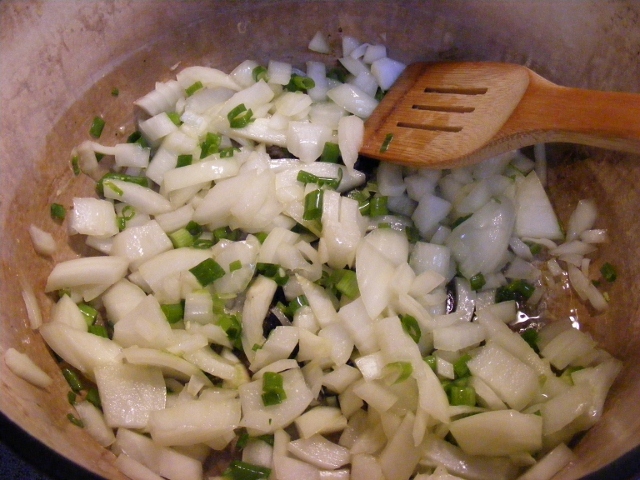 I sautéed onions in olive oil over low heat, then added fennel, celery, and garlic and cooked until the vegetables softened. 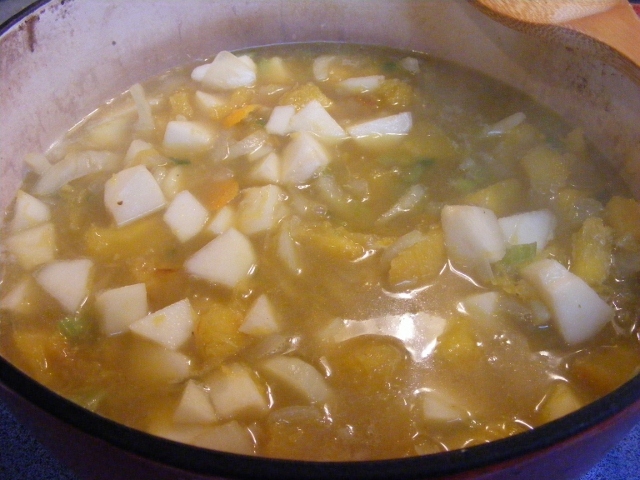 I added spices, the roasted pumpkin, homemade chicken stock, pear, and orange peel to the pot, brought it to a boil, then simmered for about 20 minutes, until the pear was mashably soft. I pureed the soup with my immersion blender, then adjusted the salt and pepper. Most soups are oversalted for my tastes, so I had used very little salt while preparing the soup. I stirred in a little at a time until the balance was perfect. As I tasted the soup, I thought it might benefit from a little honey to help bolster the sweetness of the pears, so I stirred in about 2 tablespoons of clover honey. 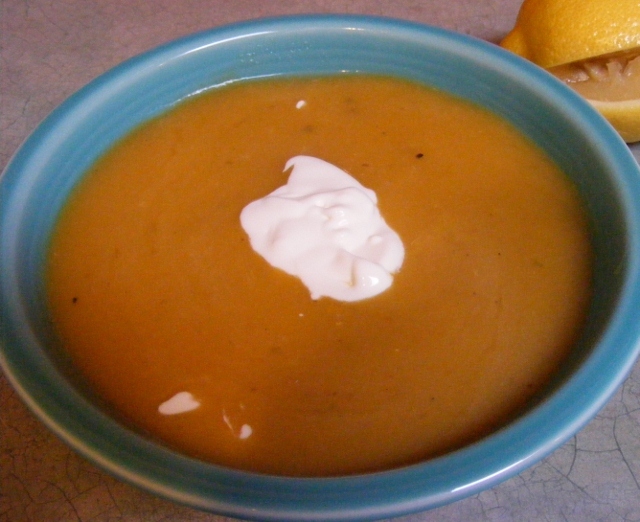 I served the soup with a squeeze of lemon juice and crème fraîche. 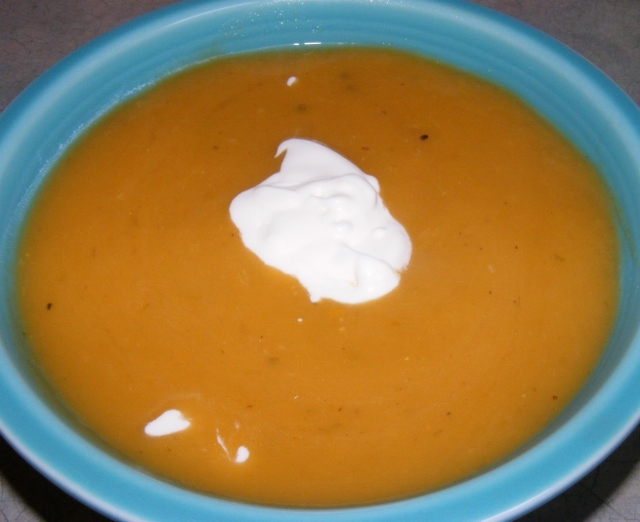 The soup was creamy, savory, a little sweet, and spiced just right. The acid from the lemon juice gave it great balance, and the crème fraîche added a nice tang. 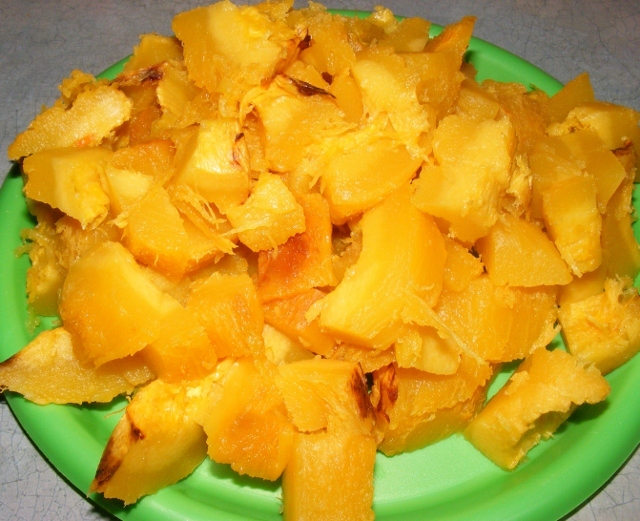 I could just barely taste the orange peel, and it seemed like the soup would be really good with just a bit more orange flavor, maybe from some zest or a bit of juice. But it was pretty close to perfect just the way it was.